Uncover a wealth of treasures and play the 3D GoldFish Slot for 5 Reels of underwater fun! Swim past adorable goldfish, 6 splashing bonus features, super scatters, wilds & FREE spins to grab multiplied prizes! Dive in to the deep blue for some splashing fun and play the GoldFish Slot machine game at Vegas Spins for Real money! The 3D game offers 5 Reels and 25 Paylines of underwater action, impressive graphics, adorable colourful fish icons and 6 splashing features! 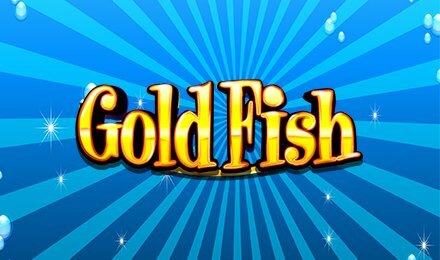 When the gold fish flies onto the fish bowl this can trigger FREE spins and can multiply your bets by up to 10. The purple fish featureblows bubbles with numbers and can spell more multiplied winnings. If you trigger the Red Fish feature, you can select the castle, clam or chest to uncover prizes. The blue fish offers a super scatter feature which can trigger big cash payouts! There are plenty of chances to multiply your winnings, so you better dive in to uncover a wealth of hidden treasures today!